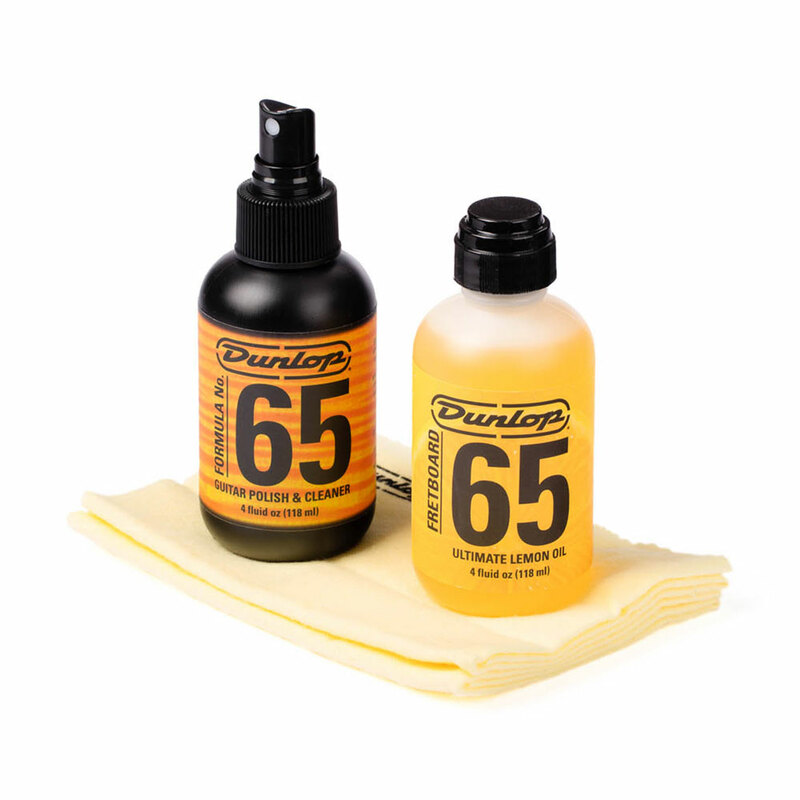 The Jim Dunlop Formula 65 Body & Fingerboard Care Kit provides a simple and cost effective way of looking after your guitar, the kit contains 1 bottle of clean & polish, 1 bottle of lemoin oil and 2 microfibre cloths to apply the products. Formula 65 Clean & Polish removes dirt and grease build up from your guitar's surface while polishing and protecting its clear coat finish to keep it looking good as new. With an easy to apply pump spray bottle top. Fretboard 65 Ultimate Lemon Oil will remove grime and return your fingerboard to its original ouster quickly and easily. Once the dirt is gone the formula will keep it away by providing a sealant against stains and moisture.